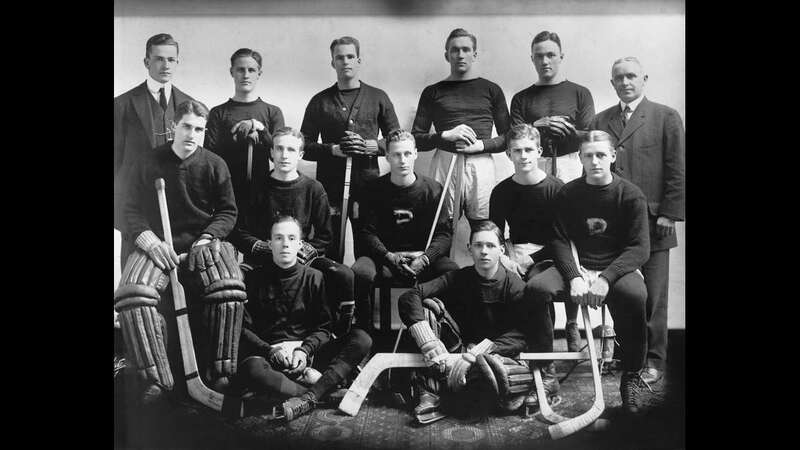 One hundred years ago, before Babe Ruth, before Joe Louis and before Michael Jordan, the pre-eminent American athlete was a hockey player who hailed from Bala Cynwyd, Pennsylvania. His name was Hobart Armory Baker and he’s the namesake for college hockey’s version of the Heisman Trophy, to be awarded Friday night in Philadelphia as the city hosts the hockey tournament known as the Frozen Four. “There wasn’t any sport that he got near that he wasn’t able to master and instead of the other kids being jealous, he was so gentle of spirit, they just admired him,” Lally said. 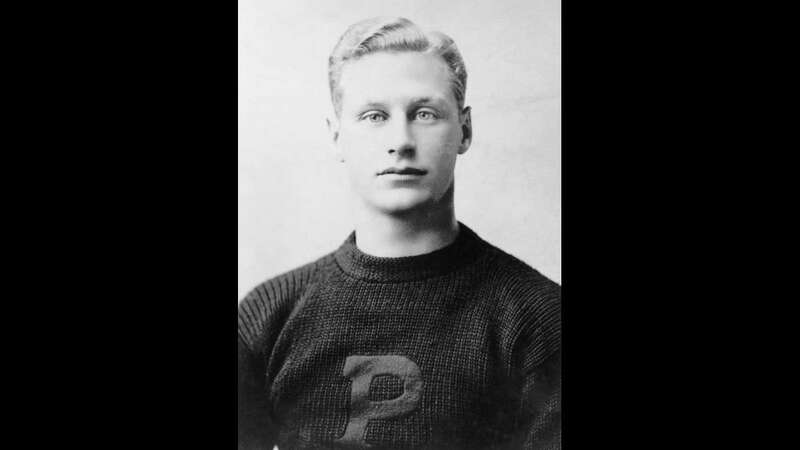 During his collegiate career Baker scored 180 points in football, a Princeton record that stood for half a century and he is believed to have scored 120 goals in hockey. But it wasn’t just his athletic prowess that made him stand out. Adam Wodon, managing editor of CollegeHockeyNews.com, says Baker was both the ultimate gentleman and sportsman. “He took one penalty in his career, that’s the legendary story, all the research you do suggests that is indeed true, not just apocryphal, so the sportsmanship goes right in it,” Wodon said. After graduating from Princeton, Baker worked for a time on Wall Street, but was said to be bored and less than enthused about life in early 20th century corporate America. So when World War I broke out, he enlisted. “He was part of the U.S. Army Air Corps where he flew in several missions over France and was credited with three kills during his career,” said Wally Shaver, the legendary radio voice of the Minnesota Golden Gophers hockey team as well as being the publicity director for the Hobey Baker Foundation and Award. “Unfortunately, Hobey Baker died, he had his return papers in his pocket, but took a repaired aircraft up for one last flight, it went a quarter mile down the runway, got airborne, crash landed, and Hobey Baker died in the ambulance on the way to the hospital,” Shaver said. When word of his death reached the states, a national day of mourning was declared. Princeton University built and named a hockey arena after him. But as the years passed, the legend of Hobey Baker faded further and further out of the national consciousness, even though he’s only person ever elected to both the football and hockey halls of fame. Then in 1981, a group of enthusiasts in Minnesota thought it was high time that college hockey had an award similar to college football’s Heisman Trophy. Adam Wodon of CollegeHockeyNews.com says the Baker award considers a player’s character, sportsmanship and academic achievements as much as his feats on the ice. “There’s a lot of emphasis on sportsmanship that probably doesn’t get spoken about in the Heisman conversation,” he said. The award ceremony happens just before the start of the Frozen Four — hockey’s version of the Final Four championship tournament. The ceremony is taking place at the Kimmel Center which is less than five miles away from Baker’s final resting place in West Laurel Hill Cemetery. And while this year’s Hobey Baker Award winner is almost sure to find fame and fortune with an NHL contract, Paul Lally hopes that more people will come to know the award’s namesake, the obscure gentleman sportsman from Bala Cynwyd, Pennsylvania. “Hobey was the greatest player ever to put on a pair of skates,” Lally said.